We think we know when Lightroom 3 is going to ship, but while we’re waiting Adobe yesterday released a new update to Lightroom 2, bringing the popular photo management package now up to version 2.7… Adobe has added support for new and additional cameras, plus some enhancements and corrections for issues in previous releases. There were also changes to improve compatibility with settings in Lightroom 3 beta 2, and lastly the Camera Raw cache limit was increased to 200GB. New camera models added include the Canon EOS 550D, Sony A450, and Panasonic G2 and G10 (see full list of Lightroom-supported cameras). If you already own Lightroom 2, then the update to 2.7 is free and can be downloaded here for Windows or here for Macintosh (in English, French, and German). 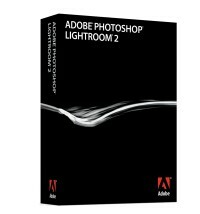 If you still have Lightroom 1 those same links can get you to version 1.4, though a full upgrade to version 2.7 is only $99. Or you can try it out first for free. As is customary, Adobe has released new versions of Camera Raw and DNG Converter at the same time, versions 5.7 for both Windows and Mac. 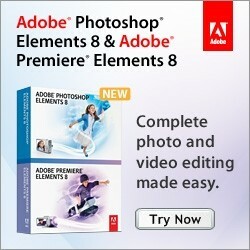 Grace Period for Free Upgrades to CS5? This seems to be the question of the week. Adobe’s policy for major product releases has been that you may qualify for a free upgrade if you buy the old version after the new version has been announced, but before it ships… The advantages are threefold: (1) you get software available for immediate download, (2) you get a more mature release if you prefer and can move up later at your leisure, and (3) you win a lower upgrade cost (e.g., from CS, CS2, CS3), because you’re buying fewer steps to go up (to CS4 rather than to CS5). The question now is, does this apply now for CS5? 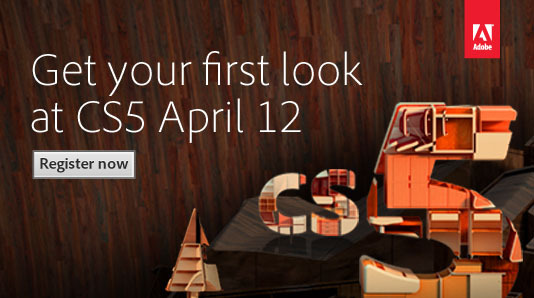 Creative Suite 5 was officially announced on Monday, April 12, and CS5 is now in preorder. However, you can still buy and download CS4 on Adobe’s site. So, we are in that relevant eligibility period right now… But will it work – could you get the best of both worlds and buy or upgrade to CS4 now, and then later get a free upgrade to CS5 when you—and it—are ready? 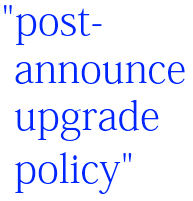 Well the official page on the matter at Adobe is called the “post-announce upgrade policy” (for retail and educational versions) – and it has not changed since CS5 was launched. If there were any change in policy, it would already be reflected there. So Adobe’s historic policy remains in effect. Arguably this free policy and its name could be a bit clearer, but it is what it is – and probably Adobe doesn’t want to broadcast it too much. CS5 Launches April 12th: When Will It Ship? The wait is over, the date is set! 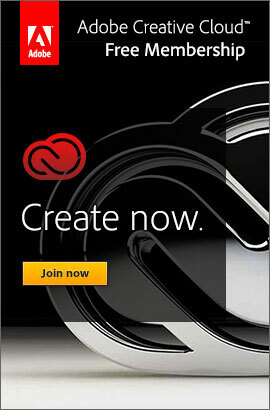 Moments ago, Adobe confirmed they will be officially launching Creative Suite 5 on Monday, April 12, 2010… This lines up well with our earlier forecasts of a CS5 release date in “mid-April” and “just around the corner.” The event will be webcast worldwide at 11am ET / 8am PT and 3pm GMT on the thriving Adobe TV, and is open to all who sign up here. When is CS5 Coming Out? When will Adobe Creative Suite 5 be released? That seems to be a big question of the season… Now that it’s March, let’s take another look. If you search the Adobe site for CS5, you’ll find some good tidbits, particularly about Flash Pro CS5 and Photoshop CS5, but little that’s concrete on timing. So what exactly is in there, and what exactly is new? Fortunately Adobe has put together a great feature comparison page giving all the details. Other points of note: In contrast to version 7, Adobe is issuing a brand new and fully-featured version for the Mac with Photoshop Elements 8. And PC World magazine just published a product review where they gave Elements 8 a Superior rating with a score of 94 out of 100. Best of all: Both versions are available immediately for full download with 30-day free trials… And right now there’s a $30 rebate.